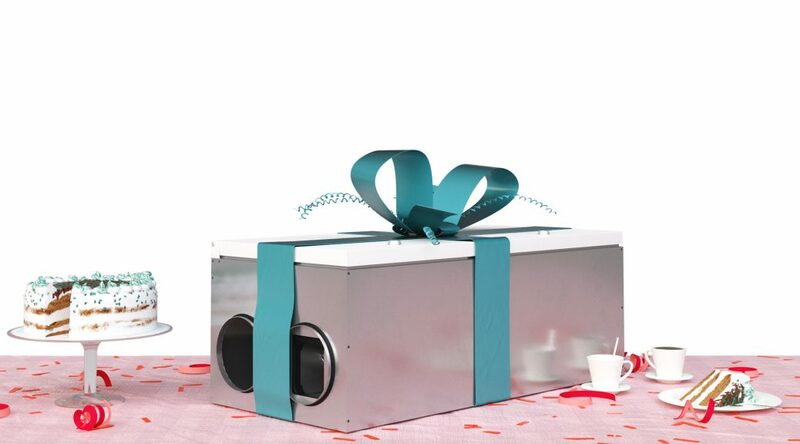 Enervent introduces a new air ventilation unit specifically designed for apartments. 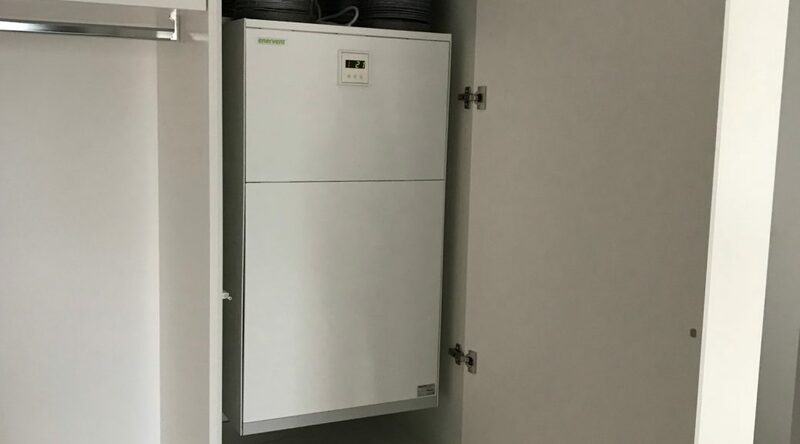 Because the unit is particularly silent and easy to install, it doesn’t require a utility or services room or a separate cupboard. Enervent Alta is the newest member of Enervent’s apartment-specific air ventilation unit family. Designed for smallish apartments and other smaller spaces, the air ventilation unit is a novel solution, both technically and in terms of its design. Because it is so silent, Enervent Alta can be installed in the most practical and convenient location, such as behind a false ceiling, in a walk-in cupboard, or in the bathroom, as it does not require a separate utility or services room or a cupboard. 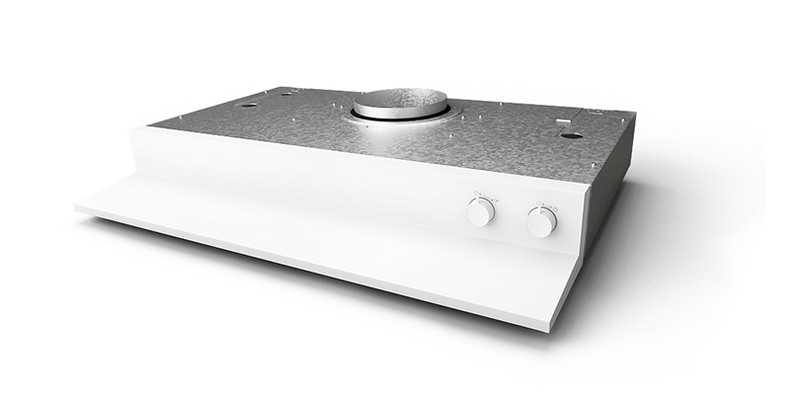 Enervent Alta comes with an integrated connector for the range hood extractor duct. Enervent Alta is designed for fast and easy installation. 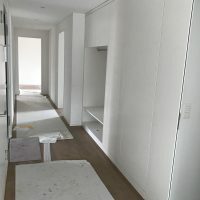 Its power cable, control panel cable, and range hood indicator cable are installed on the outside of the unit, so there is no need to open the unit’s case for electrical connections. Enervent Alta is fitted with a rotary heat exchanger. Its energy class is A, and the maximum air flow is 87 l/s (100 Pa). 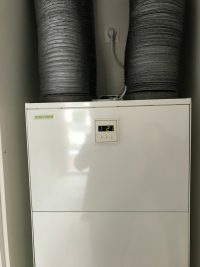 The unit is controlled by a versatile and easy-to use control system known as eWind, which has been developed by Enervent. Zehnder Group AG will acquire Enervent Oy’s air handling business including the brand portfolio. Enervent’s brands are Enervent and Exvent. The transaction also contains Enervent Oy’s subsidiaries in Norway (Exvent AS) and Sweden (Ventener AB). All personnel and the management will be part of the transaction and they will continue in their duties as old employees. The transaction is estimated to be completed before end of August. Zehnder Group is a successful international group with strong family ties committed to creating energy efficient solutions for healthy and comfortable indoor climate. The transaction supports and compliments Zehnder Group’s business. It especially strengthens cold climate air handling competences and applications in Zehnder Group. The transaction also creates good foothold for future growth in Nordic countries. “The markets and product portfolios of Enervent and the Zehnder Group complement each other perfectly. There are no overlaps. Both companies are known for their high-quality products and advanced technologies. Enervent’s transition to the Zehnder Group opens up new business opportunities for Enervent’s customers, partners and employees. We are very positive about this transaction and look to the future with confidence,” says Enervent’s CEO, Jukka Riekkinen. “We are very pleased to welcome Enervent as a new member of the Zehnder Group. Add-on acquisitions are an important element of the Zehnder Group’s growth strategy. With the acquisition of Enervent, we are expanding our market position in the Nordic countries and broadening our product range to include products that are specifically tailored to the requirements of these countries,” says CEO ad interim of the Zehnder Group, Hans-Peter Zehnder. 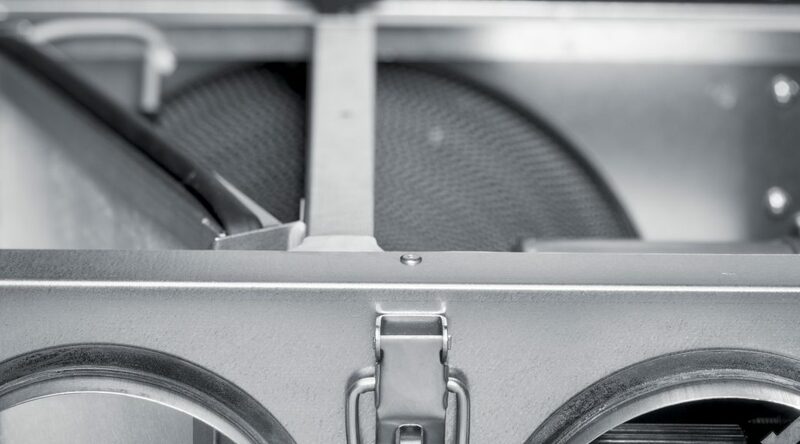 The goal of the new owner is to continue the development, manufacture and marketing of ventilation units as Enervent has done for more than 35 years. In recent years, the company’s operations and customers have focused on Finland, Norway and Sweden. The turnover of the ventilation business last year was € 10 million. Enervent receives about 60 percent of its sales from Finland, 25 percent from Norway and 15 percent from other export countries in Europe. Enervent employs 50 people. Production is concentrated in Porvoo. Operating worldwide, the Zehnder Group improves quality of life by providing outstanding indoor climate solutions. It develops and manufactures its products in 14 of its own factories, 5 of which are located in China and North America. Its sales activities, spanning more than 70 countries, take place through local sales companies and representative offices. Zehnder’s products and systems for heating and cooling, comfort indoor ventilation, and interior air purification feature outstanding energy efficiency and excellent design. With brands such as Zehnder, Runtal, Acova, Bisque, Greenwood, Paul and Core, the Zehnder Group is a market and technology leader in its business areas. The Zehnder Group has had its headquarters in Gränichen, Switzerland, since 1895. It employs over 3000 people worldwide and achieved sales of EUR 582 million in 2017. The company is listed on the SIX Swiss Exchange (symbol ZEHN/number 27 653 461). The unlisted registered shares B are held by the Zehnder family and persons closely associated with them. 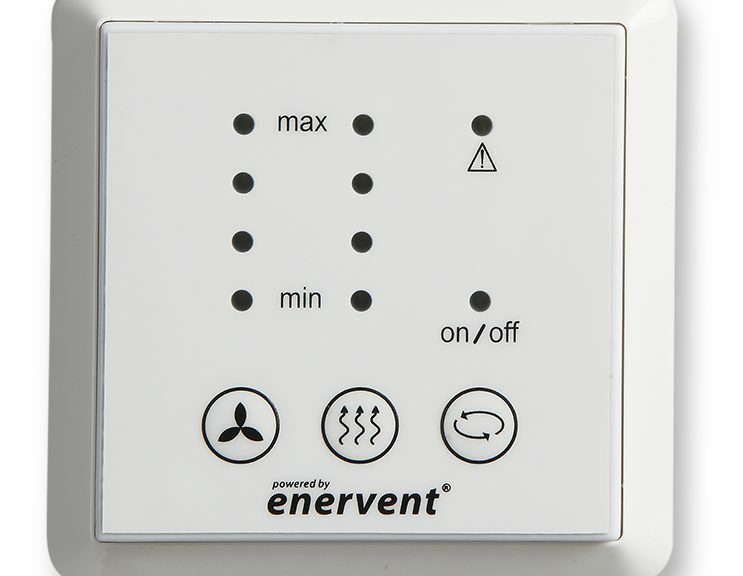 Enervent is a Finnish company with a passion for high-quality indoor climate. The company has been developing, manufacturing and marketing energy-efficient solutions that improve indoor climate since 1983. Enervent’s technical excellence includes ventilation equipment with built-in heat pump and revolutionary energy management technology for real estate. Thanks to this, it is easy to control the thermal loads and energy consumption of the building in one system. Welcome to the Climate World Expo in Moscow. 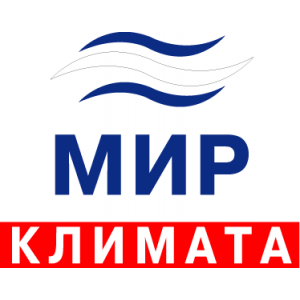 International specialized exhibition “Climate World” is the most anticipated and intriguing event of the Russian HVAC & R market. The exhibition is held every year in early March, and puts together all progressive-minded representatives of HVAC & R business. “Climate World” to be held in February 27 – March 2, 2017 at Expocentre. Enervent’s local distributor OOO ESV will participate and presenting new products Neo and as well good known products like HP with builtin heat pumps. OOO ESV booth number is 2C2403. Here you can claim for your free ticket to Climate Expo. In the future LTR-2 and LTR-6 ventilation units will be sold with 25 mm insulation. The models with extra insulation (50 mm) are terminated because of little demand. 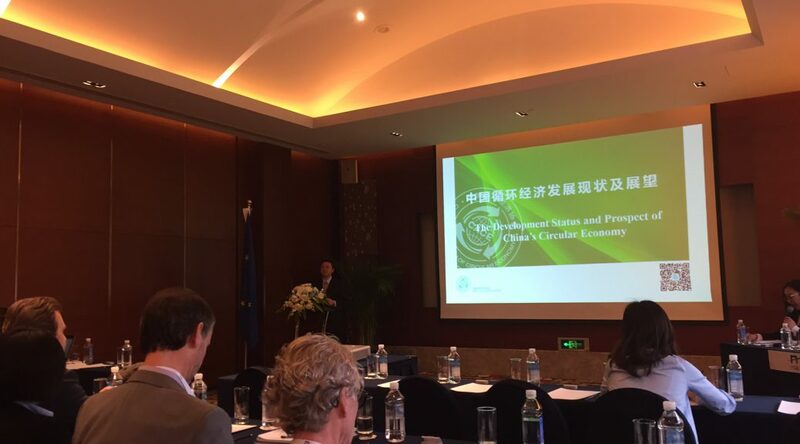 Enervent together with Hong Kong based reseller Eco Living Ltd participated in the European Union supported EU Gateway, Business Avenues for Clean Technologies event in Beijing at the end of March. The overall objective of EU Gateway to China is to strengthen the presence of European companies in China and thus contribute to economic growth and job creation in the European Union. The five day event consisted of site visits, a business exhibition and individual business meetings. The event was a success from Enervent’s and Eco Living Ltd’s point of view. The Enervent exhibition stand was frequently visited by interested parties and all scheduled individual business meetings came through. As a result of the successful event we are at the moment looking into several interesting business possibilities. The cooker hood H1 has been replaced by Standard white cooker hood (product number K240130301) and Premium white cooker hood (product number K240130201). 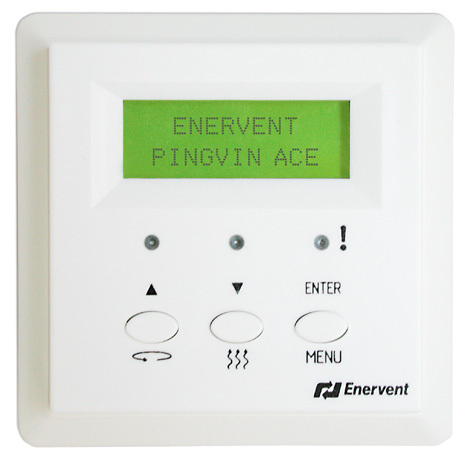 For more information contact local Enervent personnel, your local reseller or send us an e-mail enervent@enervent.com. New regulations are tighter and tighter regarding energy efficiency and local demand control of ventilation. Our answer to these regulations is the new eWind control. The new eWind control will replace the old ECC control by summer and that is why we giving an end of life announcement for units with ECC control. The last day to order units with ECC control is 28th April 2017.